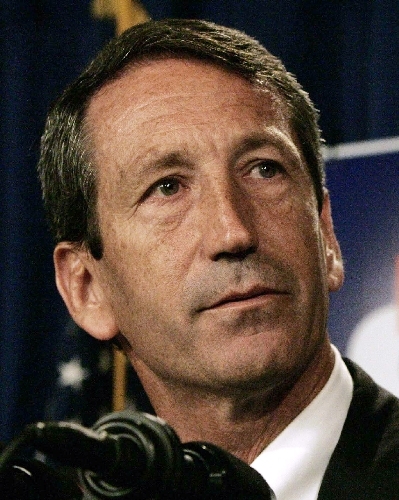 With Michael Jackson’s death predominating the news, Governor Mark Sanford’s recent scandal is already yesterday’s news. Like so many politician’s before him, earlier this week, Governor Mark Sanford apologized for his infidelity and his brief disappearance recently. First of all, what does it mean to forgive? Webster Dictionary says to forgive is “to cease to feel resentment against.” It indicates that forgiveness is not so much about the other person but about yourself. Forgiving doesn’t mean saying what happened was ok, it isn’t even understanding why someone acted a certain way. It is merely a letting go. But at what point should we stop forgiving people lest we should be made fools of or taken advantage of? At what point is forgiving self-depreciating? Maybe it never is. Part of forgiving is learning from betrayal and not allowing someone the same place in your life before their transgression. Indeed, forgiving your enemies seems easy in the face of forgiving the ones you love. You know what to expect from your enemies. But when the people you love betray you, you are jilted in an entirely different way. This action betrays your very notion of stability and trust. It can make you very, very fragile. I can’t imagine Jenny Sanford’s feelings when she found a letter from her husband to his mistress. And later how she must have felt when e-mails between Sanford and his mistress were printed. In the public eye she has handled herself gracefully and there is even some indication that she might forgive her husband and even reconcile with him. I have always thought that one of my greatest weaknesses has been a seemingly never-ending capacity to forgive. I don’t say this with any moral superiority. I genuinely spent most my life wishing I could hate certain people, that I could learn to see them only for the way they hurt me and not beyond that. It is difficult to look at people and only see them as they are. Instead there are long, long roads full of stories behind them and highways of pain, regret and hurt within them. It is difficult to hate and be unforgiving in the face of a person’s humanity. Likewise, the Prophet Muhummad was the most forgiving person. He was always ready to forgive even his enemies. When he went to Ta’if to preach the message of Allah, its people mistreated him, abused him and hit him with stones. He left the city humiliated and wounded. When he took shelter under a tree, the angel of Allah visited him and told him that Allah sent him to destroy the people of Ta’if because of their sin of maltreating their Prophet. Muhammad (may peace be upon him) prayed to Allah to save the people of Ta’if, because what they did was out of their ignorance. Despite realizing all this; for the first time in my life I am struggling to forgive someone and I fully understand that what I thought was my curse was the greatest blessing. Hate is a disease that sneaks up on us and which can destroy us. It eats away at the heart and poisons our thoughts. Not forgiving someone does not hurt them in any way, it makes them stronger, it allows them to continue to dominate us, it is self-defeating in the worst way. It is difficult to let go and until we do that, we cannot forgive. It is difficult to realize that forgiveness does not mean letting someone or something back into you life. Jenny Sanford can forgive her husband, indeed it looks like she will, but that does not mean he has any right back into her heart or her life. Thanks Sanu. Is your tumblr uncommentable?